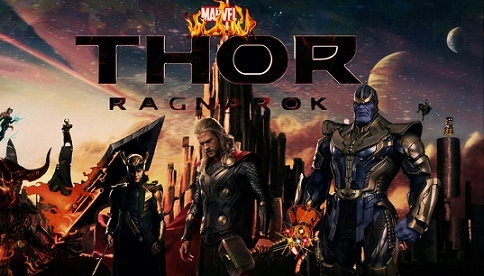 More casting news on the third Thor feature film entitled “Ragnarok” has been announced. Many disputed whether this 1962 classic creation of Stan Lee and Jack Kirby would be a successful conversion to the big screen, but the first two outings “Thor” and “Dark World” received favorable reactions from critics and fans. The newcomers confirmed by producers to be debuting in the Marvel series thus far are Mark Ruffalo, who is reprising his role as Bruce Banner/ Hulk, Cate Blanchet, Jeff Goldblum, Karl Urban and Tessa Thompson. Actor Sam Neil is another heavyweight name that has been added to the roster. Nobody was in any serious doubt that Chris Hemworth would once again don the horned helmet as Thor. Many of the actors starring in the previous films are confirmed as cast members, the list includes Anthony Hopkins, Tom Hiddleston and Idris Elba. Producer have revealed scant plotline information, but producer Kevin Feige has indicated that most of the movies action will not be on earth. It seams probable that Thor and the Incredible Hulk will be teaming up in some capacity and there are indications that elements of the scripting will be inspired by the Planet Hulk comic series. Keep checking back for further news on Thor: Ragnarok.